Department of EEE has organized one week workshop on “Matlab Applications in Electrical Engineering” for IV EEE students from 26-02-2018 to 04-03-2018. Mr.A. Ramanjaneya Reddy & Mr.K. Ashok, SV Matlab Solutions pvt.ltd, Hyderabad are the resource persons for this event. Department of EEE has organized industrial visit to Nagarjun Sagar Power House in which 50 students from II EEE have attended. Department of EEE has organized a guest lecture on “Software Modeling and Applications to photo Voltaic Systems” by Mr.N.Manoj Kumar, Research Scholar, Department of EEE, University of Malaya, Malaysia for III & IV EEE students. Department of EEE has organized a guest lecture on “Overview of Machine Learning and Artificial Neural Networks” for III & IV B.Tech students by Dr.G.Ravindranath, Professor & Head, Matrusri Engineering College, Hyderabad. Department of EEE has conducted guest lecture on “Industrial Automation” by Mr.E.Venkata Ramana, Head-Business Development, MEPAC3 Engineering Solutions Pvt. Ltd in which III & IV B.Tech students were participated. 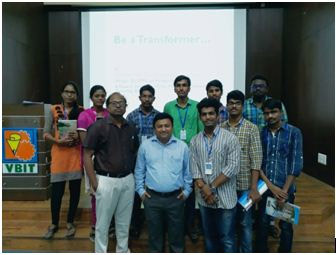 Department of EEE has conducted a guest lecture on “Internal structure of large thermal power Plants” by D.SubbaRao Manager (Operations), NTPC-Ramagundam.for III B.Tech students. Dept. of EEE has organized a guest lecture on Smart Grid Technologies by Dr. D.M. Vinod Kumar, Professor, NIT-Warangal in which IV EEE students were attended. Dept. of EEE has organized a guest lecture on Power Quality by Dr.M.Manjula, Associate Professor, Dept. of EEE, Osmania University for III B.Tech students. Release of ELECVOICE magazine by ELECTROCKZ- Branch Association of EEE department (Volume-VI, Issue-I). 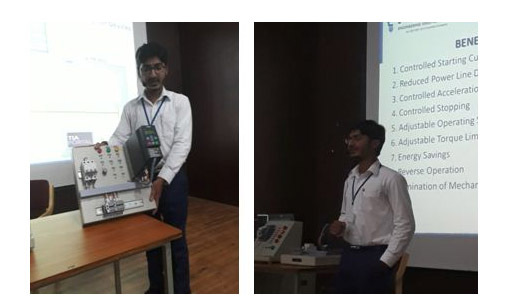 A 2 day workshop was conducted on ELECTRICAL SIMULATION USING MULTISIM. 31 Faculty from other colleges attended the workshop. Visit to Central Power Research Institute (CPRI) by EEE department students. ‘Electrokz’, the Branch Association of EEE Department conducted a guest lecture on “Genetic Analysis Application in the Distribution System” by Dr. P. Ravi Babu, Head of the Department, EEE, Sree Nidhi Institute of Science & Technology. Dr. Ravi provided a brief explanation of how the genetic properties of a human being can be related to the distribution system. This session exposed the students as to how the feeders can be connected to get an effective output using Genetic Analysis.